H3D has been producing exhibitions and events since 1985, so we have the confidence and surety to make the best of your projects. Our experience will ensure your event works. We have organised shows and built exhibitions in the UK, Europe, USA, Middle and Far East. Whether it be for a one man start-up or a multi national PLC, every project, no matter what scale, requires the same focus and attention to detail and knowledge of the industry. Experiential Events is the buzz phrase of the moment. Do we do experiential? You bet we do, we always have. That is for you and for the visitors to your show. We are great exhibition designers and have no hesitation in placing our work up with best and are very proud of our portfolio. Please look through some of the photographs in the projects section. You won’t just see concepts, these are the real deal. Every project you see here is our own creation we are frequently used by other design and marketing companies who don’t have our 3D event expertise. Great design takes you part of the way to a great show, but ninety percent of a project is organisation and management.  H3D will be your oasis of calm in the whirlpool leading up to an event. We plan from the big concept right down to the individual nuts and bolts. We will spend your budget wisely and will not present you with surprises. Many clients appreciate our open book policy as they know exactly where their money is going. We help you stay on budget and pride ourselves in squeezing the most from it. There are many industry sectors we work with. Below are a few that we have a continuing relationship with. Events are complicated things and we provide or can help you manage all aspects of your project. Here are a few more things we can organise. H3D offer national and international exhibition design services. The team, lead by Stuart Hookway, creates a range of exhibition, experiential and event solutions. Based in the South West on the Cornwall Devon border H3D produce custom or modular displays from concept to build.